Nowadays, you don’t need to go to a local watch store to purchase a new timepiece. Online shops could offer even more choices. However, the biggest disadvantage of shopping online is that you can’t get the products hands on. Size is an extremely important thing to consider when buying a new watch. Unfortunately, it’s hard to determine whether a watch is at your right size just by seeing its images & specifications online. Thus in this article, I wanna show you some tips on choosing a right watch that is appropriate for your wrist & your style. Firstly, I want to make it clear that what I’m going to show are tips on choosing today’s watches, which tend to be much bigger than vintage pieces. A watch which looks stylish on your wrist might be too big in the eye of an elderly man who is used to sub-40mm wristwatches! If the watch lugs extend over your wrist, then this watch might be too large for you. It’s ideal if the lugs are near the end of your wrist, or else it might be too small for you. However, this rule doesn’t apply for watches with exceptionally short lugs or even no lugs. Before you buy a new watch, measure your wrist-length at the position you want to wear your new watch at. Then find out how many millimeters your targeted piece’s lug-to-lug distance is, you can get this measurement from websites of online shops or producers. 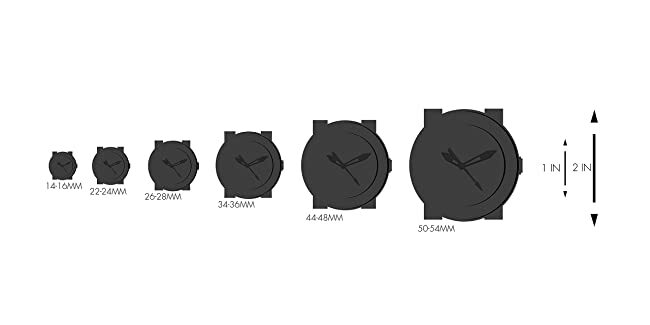 Some common sizes for men’s wristwatches: 37 – 39mm (small), 40-44mm (medium), 45mm or more (oversized). This rule cannot be applied for all wearers with different using purposes. But most of the times, it’ll you choose a right watch size that fits in well with your wrist. In conclusion, when purchasing a new wristwatch, you have to consider 2 factors of the targeted piece: the lug-to-lug distance & the case diameter.